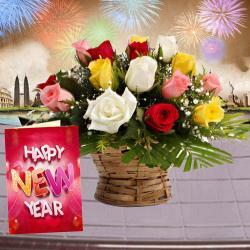 Product Consists : Basket arrangement of 20 Mix Flowers like Gerberas, Carnation and Roses with some green fillers, New Year Greeting Card along with Cadbury Celebration Chocolate Box (Weight : 118 gms). 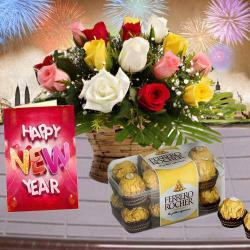 Make it a memorable celebration this New Year by treating your loved ones to exciting gift hampers. 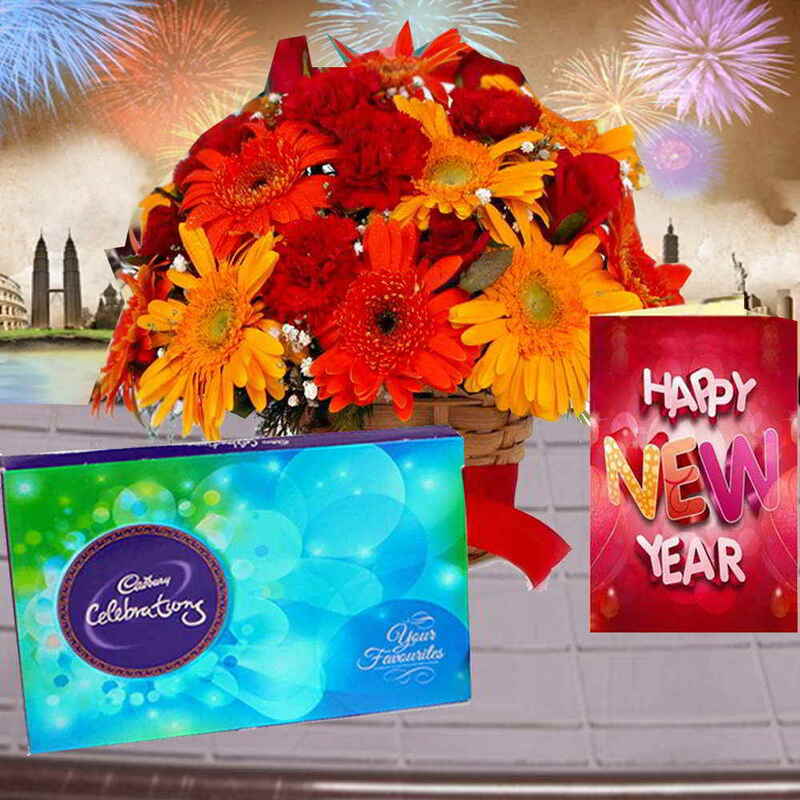 This here is a mouth watering chocolates Box from Cadbury celebrations. 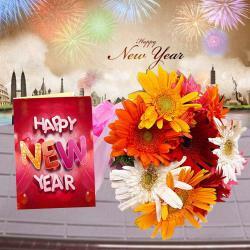 It is accompanied with a bunch of 20 hand-picked mixed flowers like gerberas and roses in vibrant colors and a New Year special funky greeting card. Such amazing gift hampers go a long way in laying foundation of a strong and unbreakable relationship. So order it now. 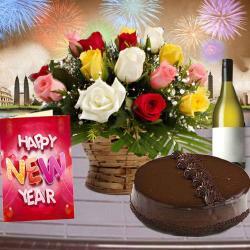 Product Consists : Basket arrangement of 20 Mix Flowers like Gerberas, Carnation and Roses with some green fillers, New Year Greeting Card along with Cadbury Celebration Chocolate Box (Weight : 118 gms).